SRINAGAR: At around 2 pm, suspected militants attacked a police picket guarding a cluster of homes where minority community was living, leaving three policemen dead and one critically injured in Zainpora belt of Shopian. The injured policeman was rushed to Shopian hospital, from where he was referred to Srinagar for advanced treatment, but succumbed on way. 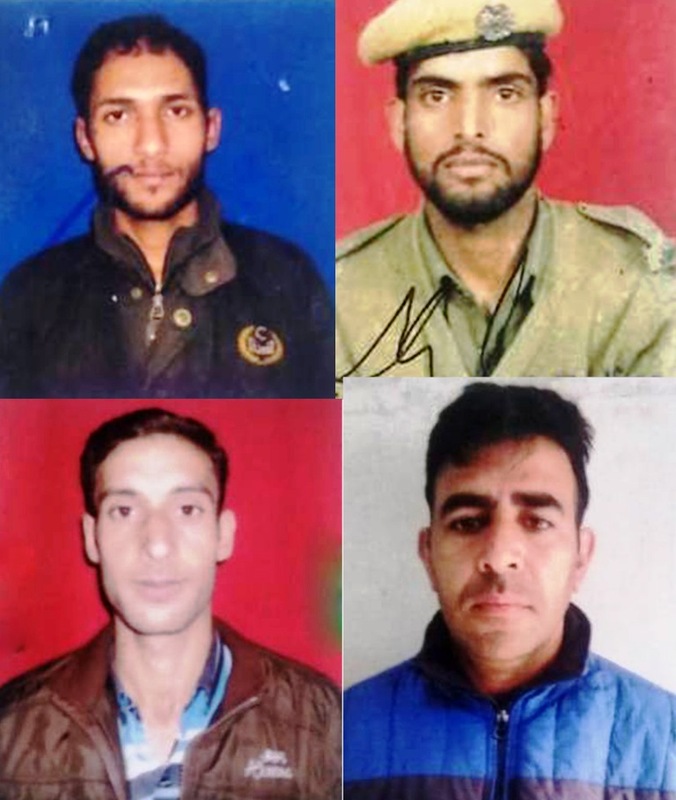 File pic of slain cops who were killed in an attack at Zainapora area of Shopian on Tuesday, December 11, 2018. The attack on the police picket came weeks after Shopian belt witnessed a series of encounters in which over two dozen local militants were killed. 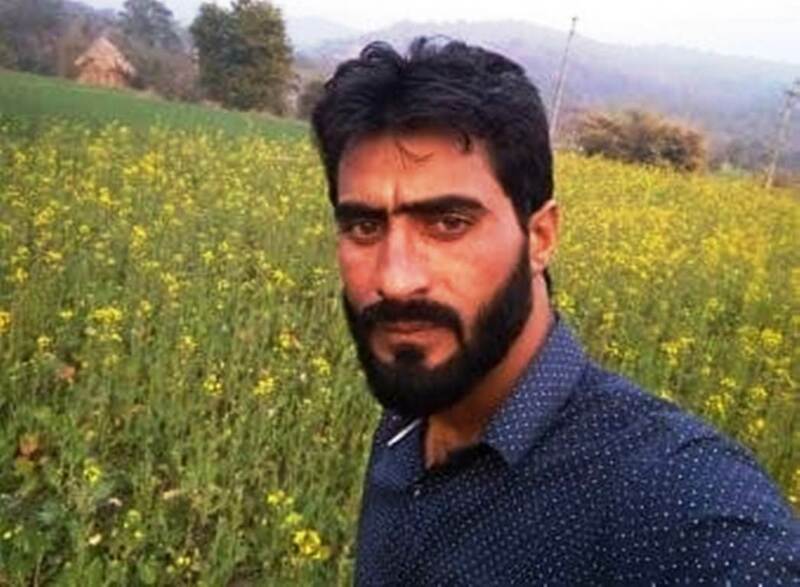 Officials identified slain policemen as Abdul Majeed Ganaie, a resident of Ganderbal; Hameedullah Ganaie a resident of Islamabad; Mehraj-ud-din Dar, a resident of Bandipora and Anees Ahmad Mir, who lived in nearby Soutch village in Kulgam. The killing of four policemen in the attack has left their families devastated. The picket was guarding three Pandit families who stayed back in the 1990s. Zainpora, now a tehsil headquarter, had a mixed population and before militancy around forty per cent of the population comprised on Kashmiri Pandits. Most of them migrated but a few families stayed put. Abdul Majeed Ganaie is survived by his wife, five-year-old son, three-year-old daughter and a brother. He was the lone bread earner of his family. The second slain Hameed-ul-lah Ganaie had married just a month ago. A cop who was injured critically in a militant attack at Zainapora area of Shopian in south Kashmir succumbed to his injuries. Earlier in the afternoon, three policemen were killed on the spot and another suffered critical injuries after militants attacked the police post guarding the minority community at Zainapora. 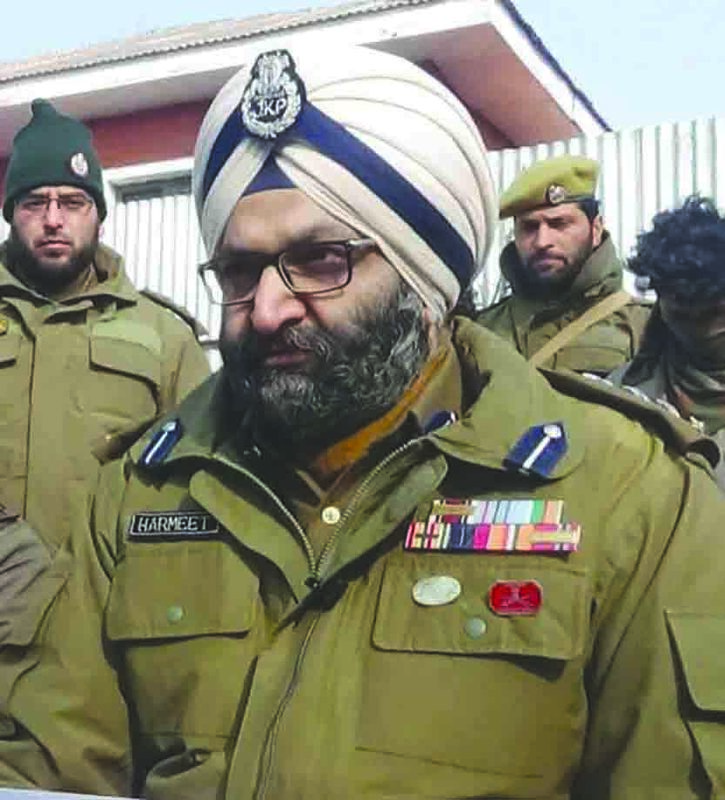 The third slain cop, Mehraj-ud-din Dar was unmarried. He is survived by his brother. He was the only source of income for his family. The fourth slain policeman Anees Ahmad Mir is survived by two siblings and a wife who is expecting a baby. Police issued the following statement: “Terrorists in the afternoon today fired upon the guard post-deployed at Zainapora in District Shopian. Terrorists fired indiscriminately on a guard post at Zainapora area of Shopian in which four Jawans sustained injuries. Three of the Jawans succumbed to the injuries and attained martyrdom in this incident while the other injured jawan has been shifted to the Hospital for medical treatment. Additional DGP (Law and Order) Munir Khan and Kashmir Police Chief S P Pani drove to Shopian within minutes after the three killings. They were part of the wreath laying event that took place in the district police lines Shopian. So far this year, 41 cops including nine SPOs were killed. These exclude the four cops who were gunned down today. Officials said the total number of security men killed this year was 81 of which 21 were killed in Shopian and Pulwama districts. Governor Satya Pal Malik has expressed grief over the loss of lives of policemen in Zainapora. In a message, Governor has prayed for eternal peace to the departed souls and conveyed his sympathies to the bereaved families. PDP President and former Chief Minister, Mehbooba Mufti has condemned the killing of three policemen in Zainapora. “Violence of last three decades or more has taken a heavy toll on the people of the state in terms of death and destruction, tearing apart of the social fabric, inflicting massive economic, academic and other losses besides the irreparable loss of human lives,” Mehbooba said. Jammu and Kashmir National Conference Vice President Omar Abdullah also condemned the killings. “We have lost three of our brave cops while delivering their duties. I pay my heartfelt tributes to the three policemen and pray for the speedy recovery of those who are injured,” Omar said. Jaish-e-Mohammad (JeM) militant outfit on Tuesday in a statement issued to news gathering agency GNS, claimed the attack. In the morning police recovered the body of Shiraaz Ahmad Bhat, a resident of Laroo village, of Kulgam, who was kidnapped by suspected militants after an encounter, took place in his house on October 21, 2018, in which three Jaish-e-Mohammad militants and seven civilians were killed. A week later, according to police, some unidentified gunmen kidnapped Bhat from his home. Since then Bhat was missing. Today his body was recovered from an orchard near Awhatoo village of Kulgam. Police suspect JeM’s hand behind the killing of Bhat.